Jett Sunglasses by Fitovers Eyewear feature polarized lenses that provide protection from glare and damaging UV rays for prescription eyeglass wearers. They may also be used as wear alone sunglasses. The polarized PDX lenses are scratch resistant, ensuring maximum visual clarity, natural color definition and enhanced contrast for the modern frame wearer. 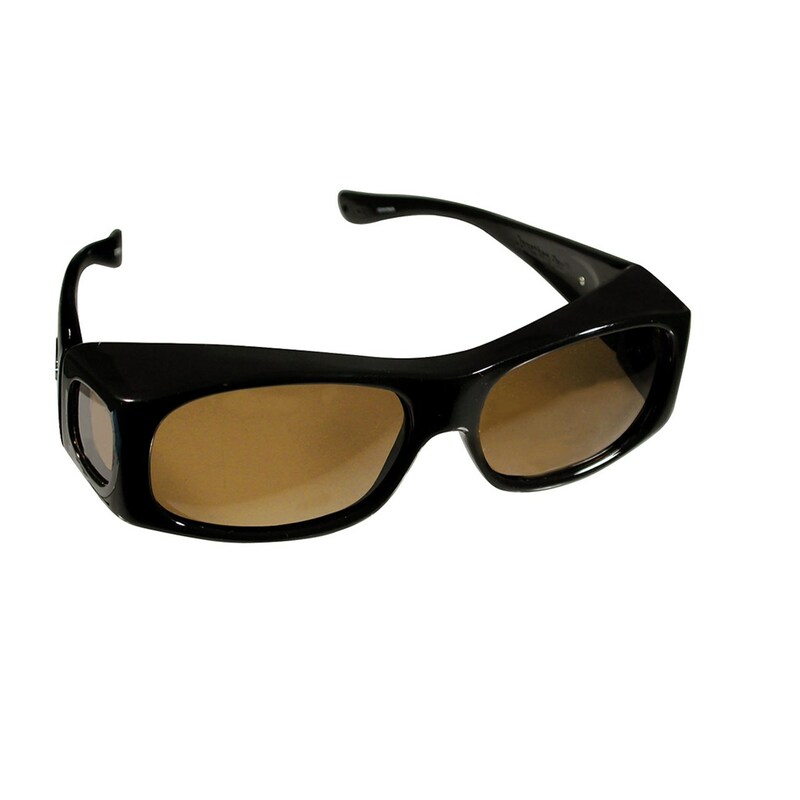 An integrated brow bar and polarized side lenses prevent harmful UV light entering from the top and sides. Featuring durable construction and a modern look, Jett Fitovers have been crafted to accommodate large bridge sizes and to fit over wide frame shapes such as squares and rectangles. They fit best over eyeglasses measuring 5 3/8 or less in width and 1 5/8 or less in height. Color: Brown Marble Frame with Amber Lens. Package includes carry case, neck cord and cleaning cloth. One-year warranty.